I don't mean for this to sound depressing in advance so I'm sorry in advance if it is. But I missed that when I got this one, I'm honestly not sure I ever would of wanted to read that, it's one of those few things in life that disturbs me no matter what reality it's in. I almost feel a sort of pain, people that feel alone like there is no one normally take their life because of that pain, that's something my dad did. I just need someone to talk to right now, I don't feel right after reading that, it got me out of bed. 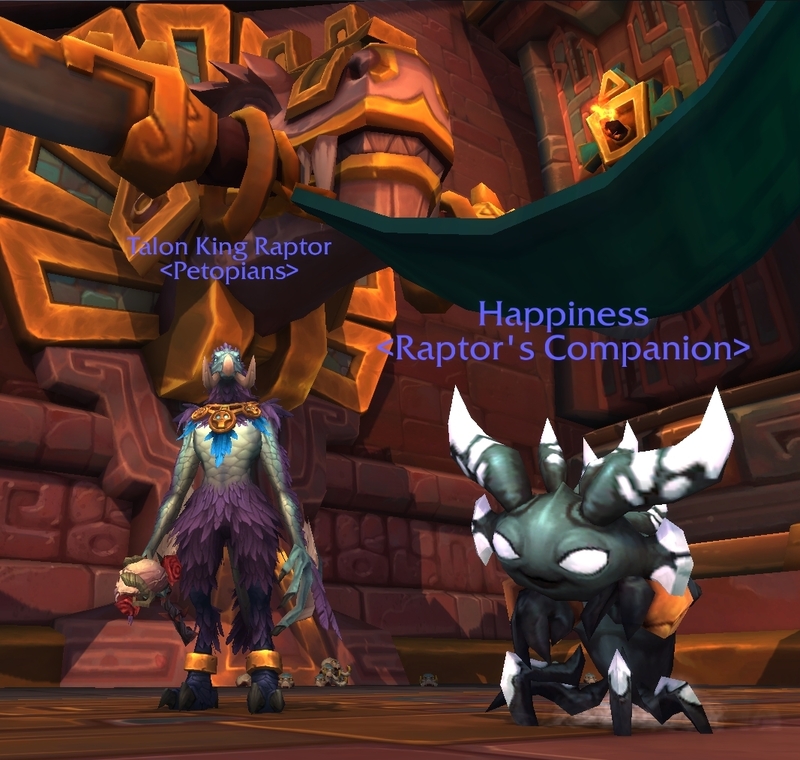 I've had that pet for a while, and it's been my favourite since I got it.. and I had NEVER read that description before. I don't know why... and I wish I hadn't because I have a really huge lump in my throat now. Ya to be honest it was very unsettling to read, most of the wowhead comments I really didn't find anything comforting to suggest that this was part of a story that blizz had just put in to solve a puzzle. I did however see a comment that was a theory by a player of a more happy thought of what he thought happened but I would only call it a Theory, but it inspired me to write a short story that is now on the forums for any to read. And I did use some of original idea but I changed it quite a bit from what he had written. If you care to read here's the link. Would love to hear any feedback from anyone. Finished Family Familiar and looted Albino Buzzard on the same day! 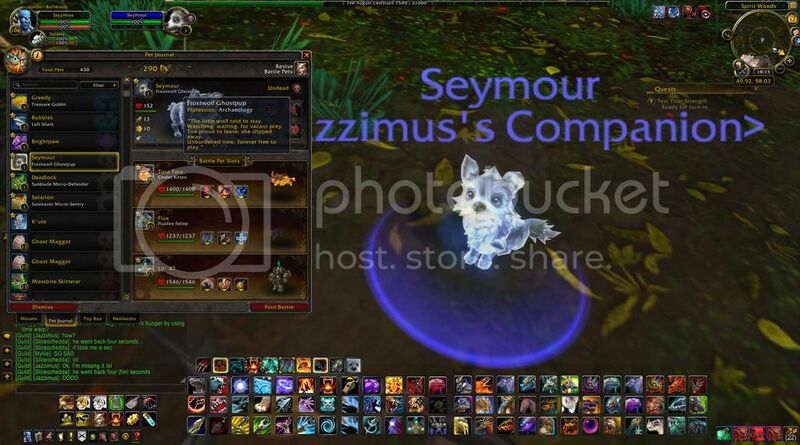 Guess I should finish leveling up my druid for the class pets now. Oh my god! I FINALLY got my Albino Buzzard... after doing it religiously every single day since it came out, on two different accounts every day. Talk about a very low drop rate! aaaaaaaaaaaaaand I got my 2nd buzzard this morning! so nothing for months on end, then 2 in a row within 12 hours. 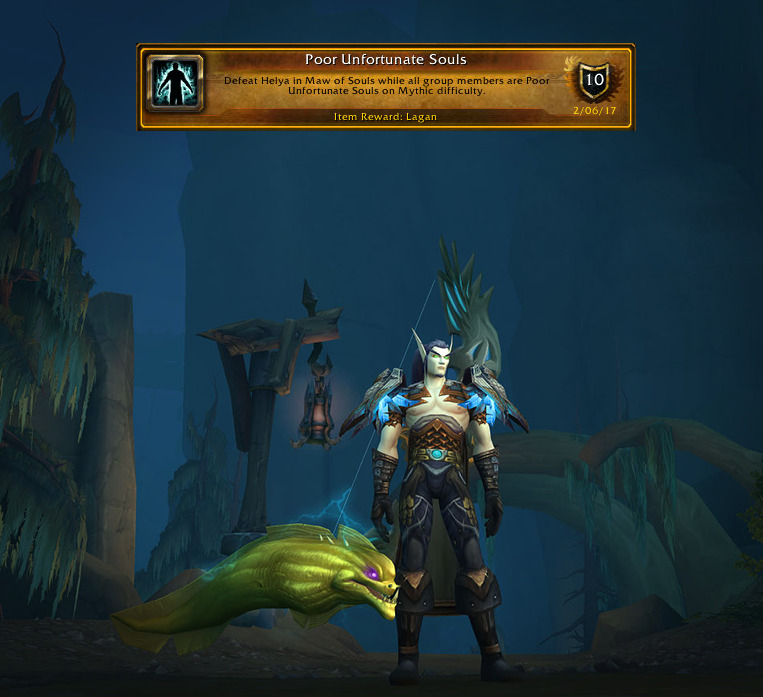 Ahhh I'm so happy, our mythic dungeon group got a bunch of achievements done tonight, including Poor Unfortunate Souls so now I've got this cute little eel. Posing with my handsome boy Cas, since he's my main for this expansion. 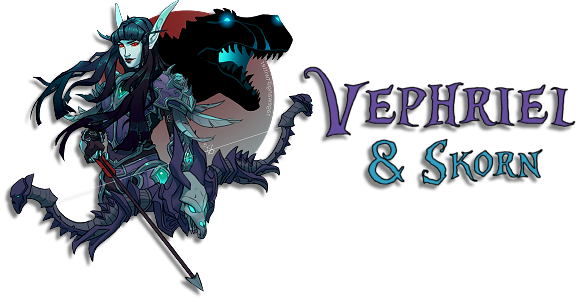 Today I got Scraps and I'm rather happy with him, may even make an undead alt just to drag him around. 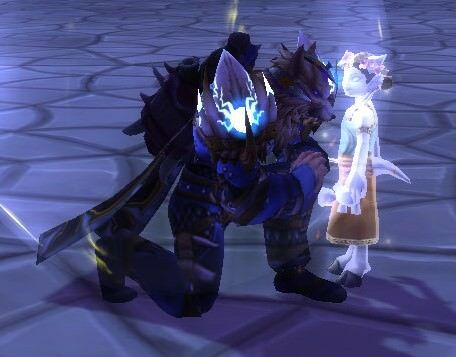 Snowfang is mine after trying Elemental then going for Enhancement as recommended and Enhance was lot easier to use only died twice but now this adorable puppy is mine. Spectral tiger cub is now mine after buying one of a player for 120,000 gold which is a good deal since ones on ah sell for up to 145,000 gold. 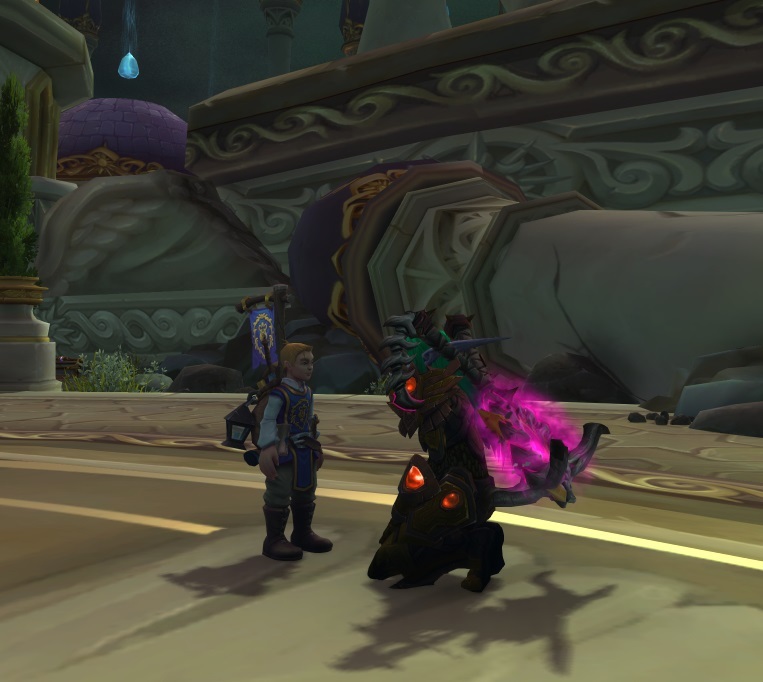 Got this little dude from a Legionfall cache! Not sure if it is a good deal but I snagged Bananas the cute monkey off the AH for 103,000. 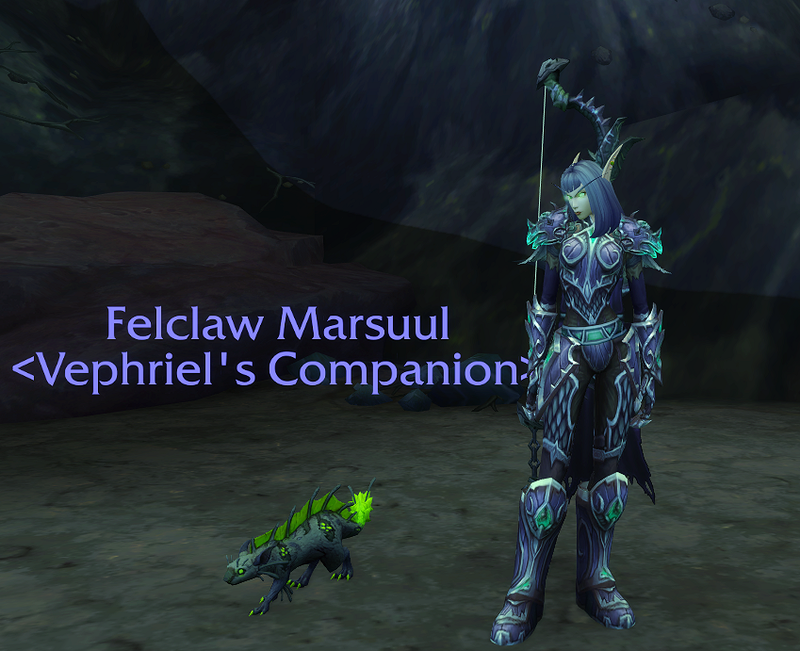 The new silithid battle pet finally dropped for me. I still hope the other colors become tameable soon.. I absolutely love the model, but really not a fan of the garish color scheme. With many thanks to the discord got my cute kiddo. Friend told me about his rabbit being gold, and I told him it was a visual glitch. He summoned it in front of me, and it actually WAS gold! I checked mine, and it also was a nice golden color. Apparently, after looking into it, Mountain Cottontail and Elfin Rabbit were turned gold if they were color changers before the model updates hit. Make sure to check if you have a gold rabbit! 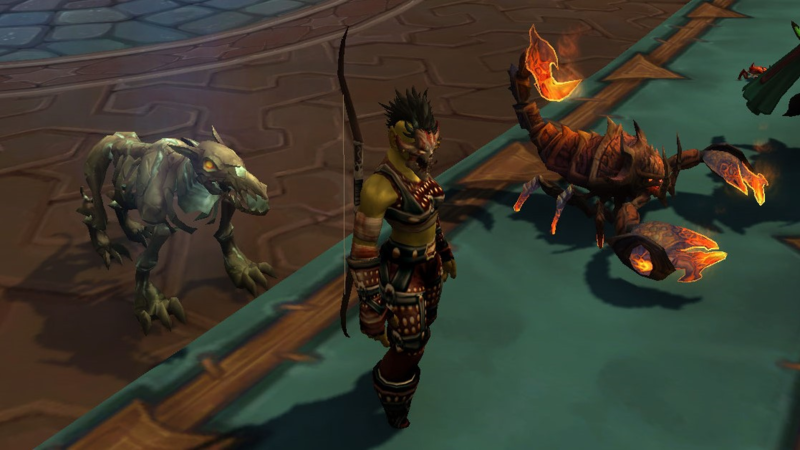 I'm not sure what's gotten into me lately but I've been on something of a pet battle binge, trying to close the holes in my collection. I'd yet to touch any of the lengthy achievements, like Family Familiar and Family Fighter, but I knew if I kept procrastinating I'd never get them done. This week I decided to focus myself and start the grind, and I just finished Family Fighter! 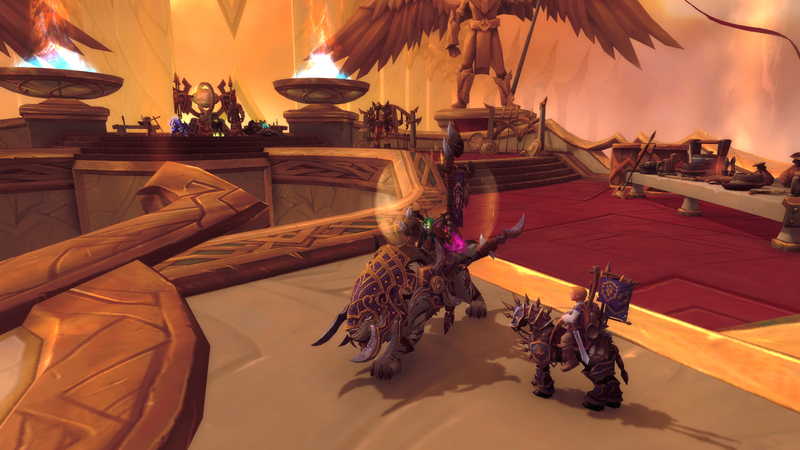 ;A; I'm so relieved to get one done, some of those fights were aggravatingly difficult. I'll have to keep chipping away at the other achievements but I'm satisfied for now with one completed! I have NEVER had good luck with Raiding with Leashes....until now. 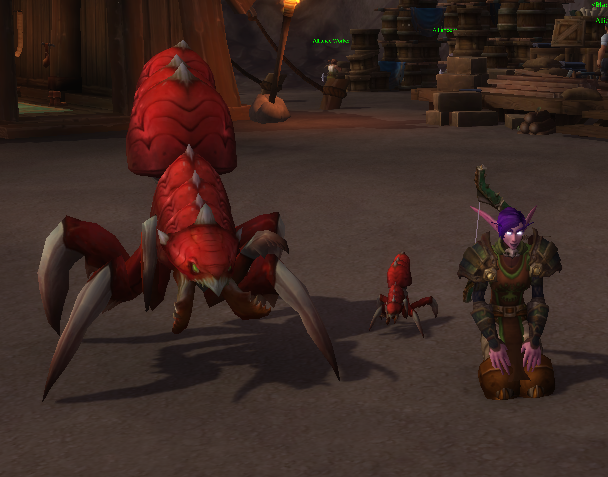 My new leveling companion Goes perfectly with my "As close to an Arakoa as I will ever get" drood that I am leveling.